Mumbai, November 10: The Western Railway has officially stopped booing of waitlisted tickets of IAC and IIAC for next two days – Nov 10 and Nov 11 – for the journey starting from November 13. The move has been taken by the Western Railway department after a huge number of crowd including travel agents have rushed to railway stations across India to book waitlisted tickets in higher classes to use up denominations of Rs 500 and Rs 1000 notes banned by the Government of India. 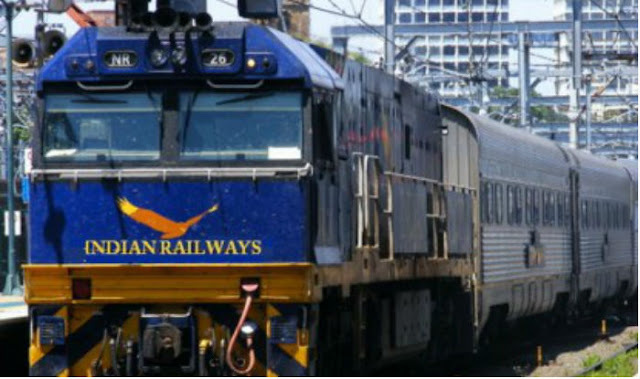 However, there is no restriction on booking of waitlisted tickets for IIIAC and General Class, a press release issued by the Western Railway department said. Soon after Prime Minister Narendra Modi surprised India by making an announcement of scrapping Rs 500 and Rs 1000 notes passengers and travel agents were keen to get waitlisted tickets with the intention that they may cancel the tickets and get refunds in new notes or other legal denominations in next few days. In Mumbai, there were several instances where people booked waitlisted first AC tickets for Nizamuddin-Trivandrum by Rajdhani Express. As these return tickets for six persons costs Rs 81,000 and most of the travel agents have done multiple bookings to clear their cash amount full with banned notes. With this trick, most of the booking agents were able to use old notes of Rs 500 and Rs 1,000 worth Rs 4-5 lakh. Due to which the bookings of IAC crossed Rs 1.8 crore. Facing shortage of currency notes of lower denominations coupled with heavy rush at booking counters, the railways has stopped giving the refund for cancellation of tickets in cash and instead issuing ticket deposit receipts (TDR). Besides, in a case of refund amount touching Rs 10,000 or above, the railways will only transfer the amount to the customer’s bank account and the person concerned is required to furnish account details for receiving the amount while cancelling the ticket. The government had demonitised Rs 1,000 and Rs 500 notes from the midnight of October 8 with the aim to fight black money and corruption while exempting a few emergency services like hospitals, petrol pumps, railways and airports for three days up to November 11. However, the demonitisation move has attracted heavy rush at ticket counters at railway stations resulting in cash shortage. “So we are giving TDR to those who are canceling tickets and if the refund amount is Rs 10,000 or more then it would be returned to the bank account of the person,” a railways official said. The demonitisation of the higher denomination has also brought down the e-ticketing business by about 10 per cent on November 9 as compared to the previous day as there is a surge of over 13 per cent at the counter sale. According to IRCTC, the online ticketing arm of the railways, total 5,55,587 e-tickets were booked on October 8, while it fell to 5,07,996 on October 9. The railways earned Rs 123 crore on ticket sales on October 9 as against the collection of Rs 109 crore on October 8, an increase of Rs 14 crore. The rush at counters across the country is expected to ease out after November 11, the official added.